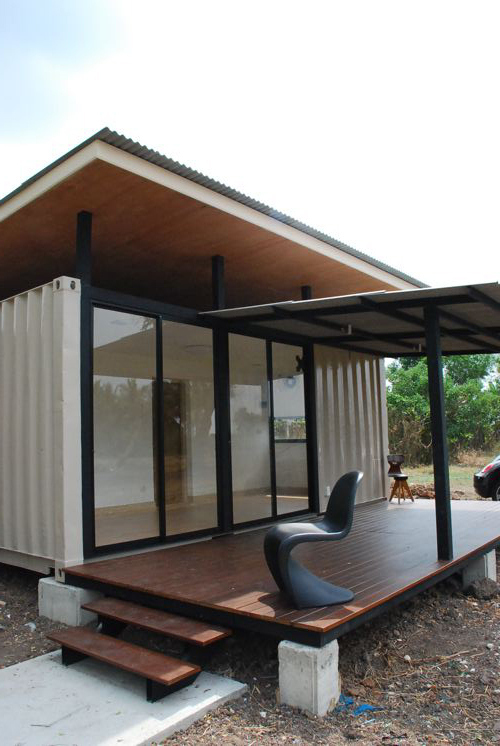 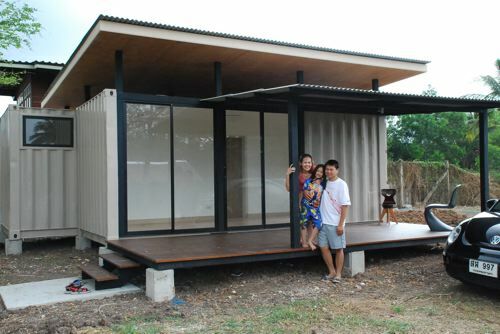 This simple shipping container home is made of two 20 ft containers and located in Thailand not far from Bangkok. 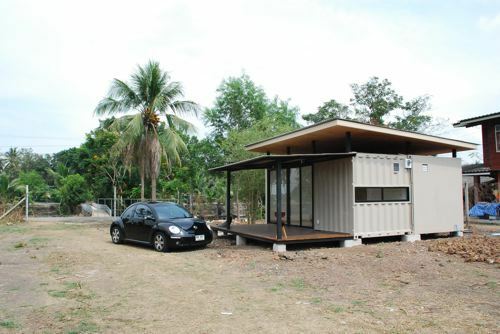 The home has 1 bedroom, living area and embedded prefab bathroom unit. 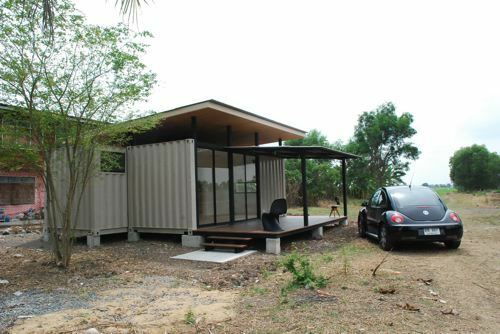 The containers are insulated with recycled thermal insulation with roof layer above the home to prevent the transmission of heat into the habitable areas.